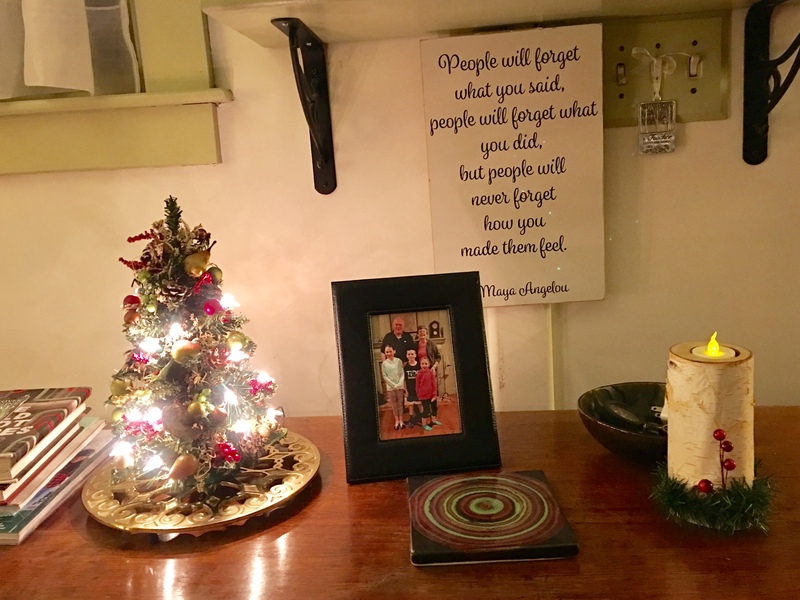 This entry was posted in Inspiration, Kindness, Love, Quotes, wonder and tagged Christmas, Inspiration, Maya Angelou, Quotes. Bookmark the permalink. 50 Responses to Do You See What I See? Thank you, Darlene. Merry Christmas to you! How is your visit with family in Canada? That’s very nice. A sweet reminder. What a nice cozy Christmas corner, Jennie. You are welcome, Norah! And to you as well. I like that saying and I think it’s so true. We never forget how people make us feel. Exactly, Anneli. It is my favorite saying. Hurrah, hurrah, hurrah! A lovely holy-day season to you and yours!!! Thank you for your kind words and wishes, Anne! I love everything about this post. Thanks. Happy Holidays. Quite perfect, Jennie. Love that quote because it’s so true. Merry Christmas to you and yours. What a lovely cozy area! I love that Maya Angelou quote, she was so inspiring. One of my favorite quotes from her : “If you must look back, do so forgivingly. If you must look forward, do so prayerfully. However, the wisest thing you can do is be present in the present…gratefully.” A very Merry Christmas to you! Thank-you!